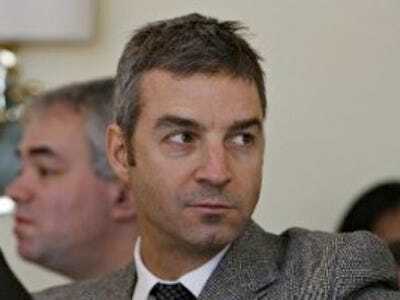 Third Point’s Dan Loeb writes in his 2010 4th quarter investor letter that the firm has “capitalised on irrational fluctuations of the herd” after data, correct or not, spreads and effects changes in the market instantaneously.Funnily enough, today, after a PTJ rumour spread like wildfire on Twitter (the rumour was that PTJ called the top), the market “looked like Bernanke just said he thought the dollar hit a bottom,” according to Zerohedge. It’s almost as if someone started today’s rumour about PTJ calling the top to prove Loeb’s point. Also, he says he’s concerned that now everyone is as bullish as he was 2 years ago. Our greatest concern is the growing consensus around the bullish view we have held since April 2009. Therefore, we welcome sharp corrections like the two we had last month, the first a decline based on worries about Chinese inflation and the second, a sell-off due to the Egyptian political crisis, each of which we used to increase certain positions. The extraordinary turn of events in Egypt, and market movements generally during the month of January, point to two important observations about financial markets today. First, the world has become hyperconnected, resulting in instantaneous transmission of information globally or across particular affinity groups. Second, we have more information and data at our fingertips than ever before. This widely accessible information glut along with market participants’ routine overreaction to single data points has created a unique opportunity for us as investors to employ a dispassionate analytical framework which allows us to capitalise on the irrational fluctuations of the herd. The full letter is available for download on Dealbreaker.